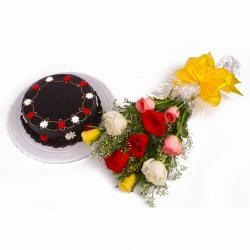 Product Consists: Bunch of ten Yellow Roses along with half kg Eggless Chocolate Cake. 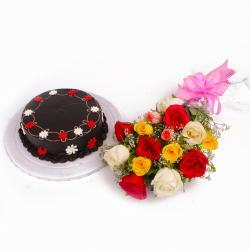 To make any occasion joyful, best option is gifting this hamper filled with happiness. 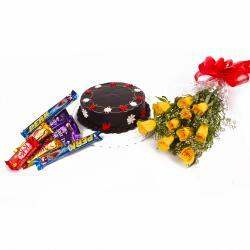 The hamper that we have here, is best to be presented on any special occasion or festival like Birthday, Anniversary, Independence Day, Thanksgiving Gift, Friendship Day and many more. 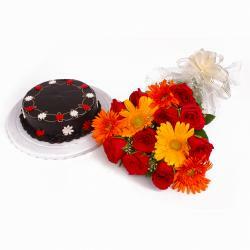 It comprises of ten yellow roses along with delicious half kg Eggless chocolate cake is one of the most loved and delicious treating. When you will send this hamper to anyone dear to you, it will sure make an impression in their heart. You can also send this gift hamper along with other Gifts to India through Giftacrossindia.com. 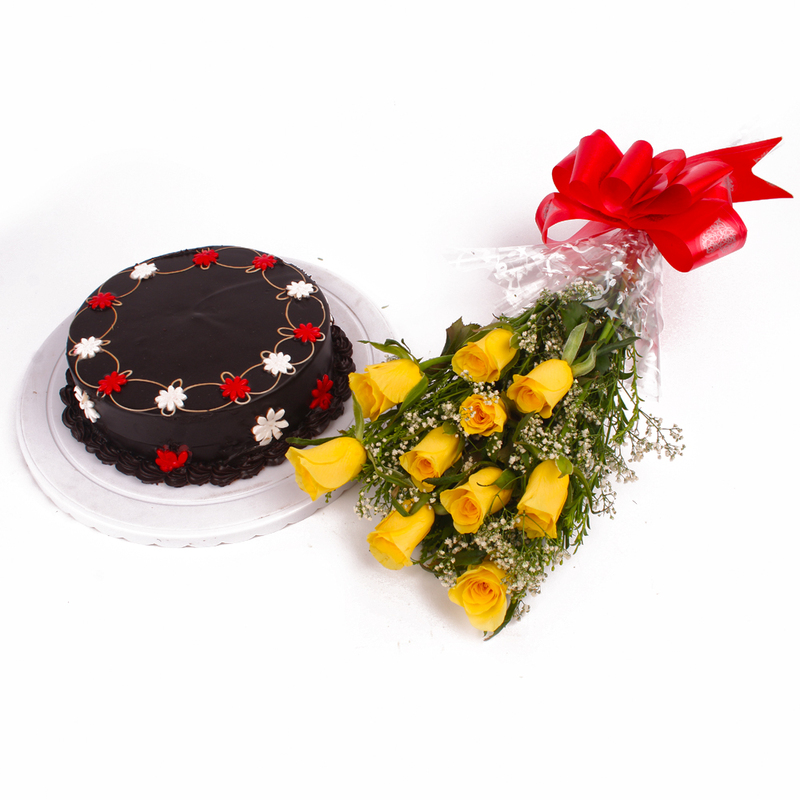 This gift hamper contains : Bunch of 10 Yellow Roses along with half kg Eggless Chocolate Cake.